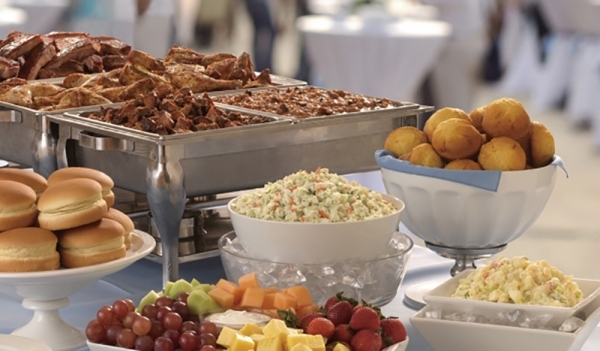 Dependable and Delicious Corporate Catering in the DMV Area! 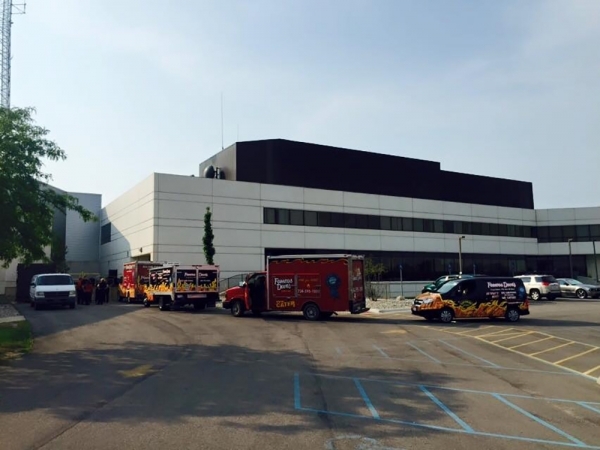 When it comes to your company’s event, don’t underestimate its catering! 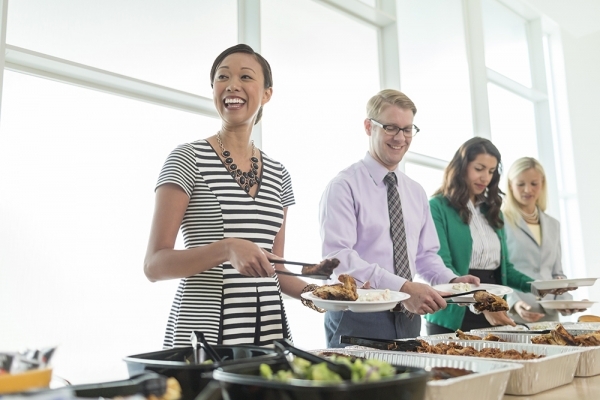 Providing a great meal for your next company event is an awesome way to get your employees engaged, convince your team to attend, as well as make the event a memorable time for everyone! 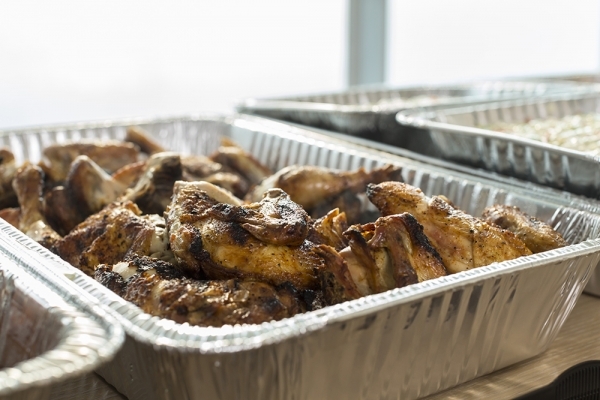 Famous Dave’s DMV is the area’s leading Pitmaster, offering delicious BBQ for business luncheons and office parties alike – we even offer delivery! 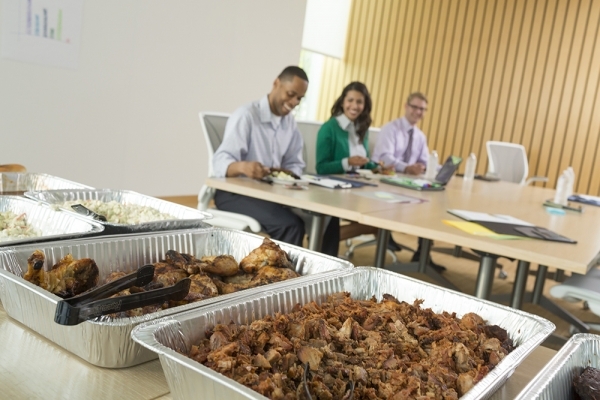 Classic BBQ Meals – Our chopped pork, chicken, beef brisket, hot link sausage, country roasted chicken, and scratch-made sides are inspired from the Southern-style of cooking found in Georgia, Texas, and Missouri. Hickory Smoked Ribs – Our Pitmasters specialize in the slow smoking of both St. Louis-style spareribs and Baby Back ribs. Homemade Sides and Delicious Desserts – All of our sides are Southern comfort foods and will remind you of the kind that mom used to make! We put a lot of heart and soul into our cooking, and you’ll be able to taste it in our creamy mac n’ cheese, famous Down Home Banana Pudding, and more! 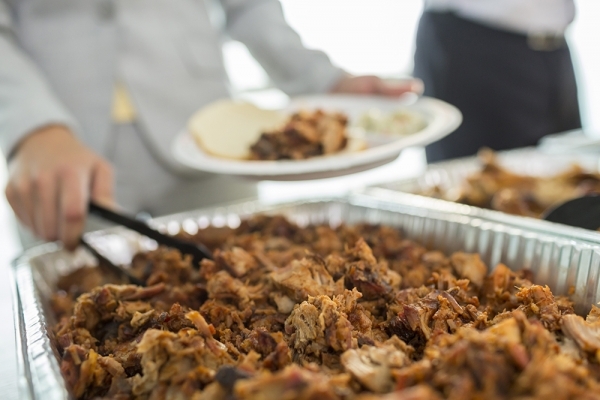 Make Your Next Corporate Event One to Remember with Famous Dave’s Slow-Smoked BBQ! 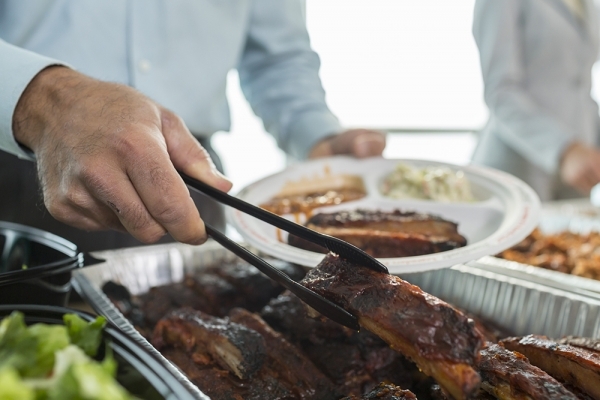 Create Closeness – Barbecue isn’t just about the food, it’s about getting together! When you, your employees, and your clients share a meal together, you have an opportunity to bond and grow closer. 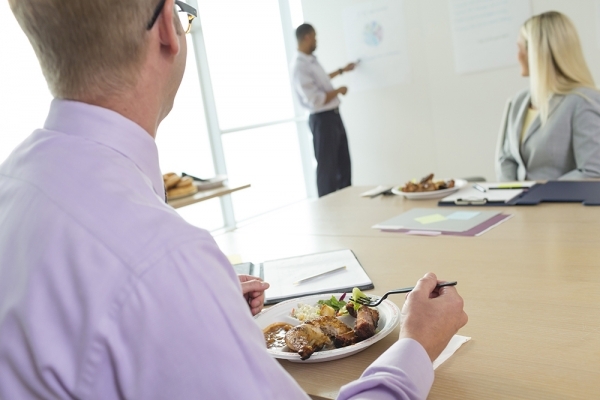 This is the best way to strengthen your business relationships! 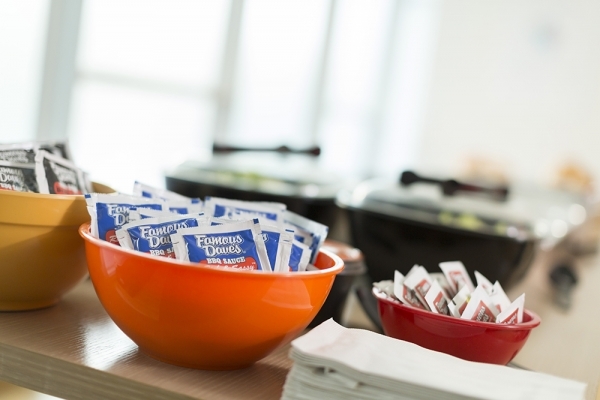 Bring the Community Together – Other than linking you with others at your work event, Famous Dave’s business catering allows you to grow your relationships with the rest of your community. 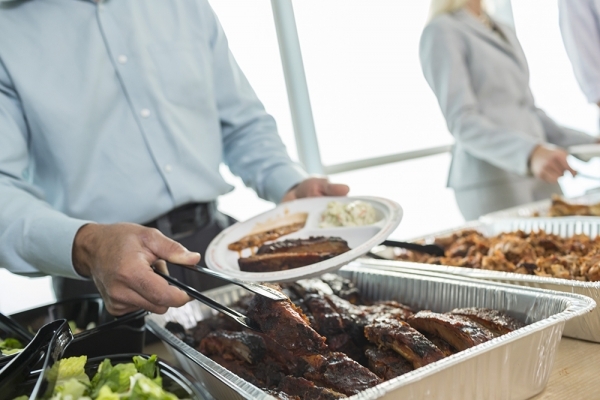 Through our catering services, donations, and our daily restaurant service, Famous Dave’s DMV locations maintain close relationships with customers throughout the area. 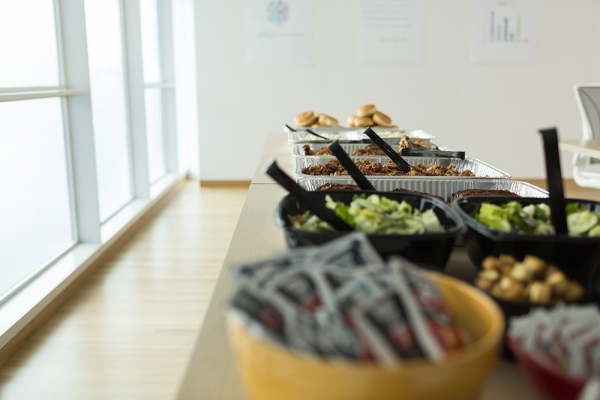 When you choose us to cater your next corporate event, you join our community, allowing your business to propel into the spotlight! Perfect for All Diets – Although we love it, not everyone eats meat, or even BBQ for that matter! Famous Dave’s is able to customize our menu to your large group’s dietary needs. We offer chicken for those who don’t eat pork, as well as salad, salmon, and veggie burgers for those who don’t eat meat! 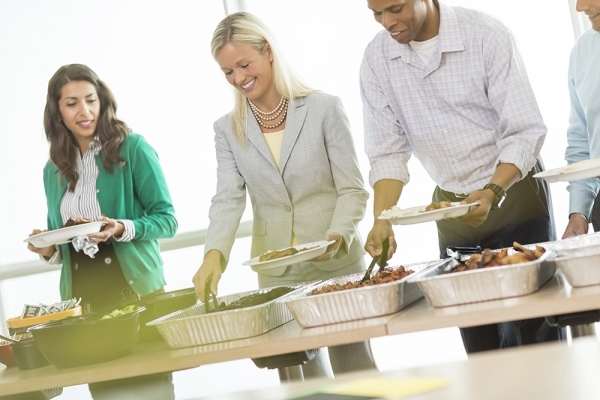 Don’t plan your next work outing without great food, or else you may have a much smaller turnout! a party without great food. 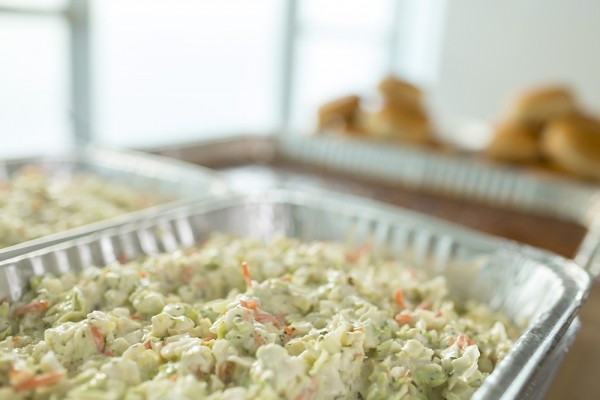 For more information on our corporate catering in the DMV, call our Catering Hotline at (855) 783-8648 or Request a Quote today!